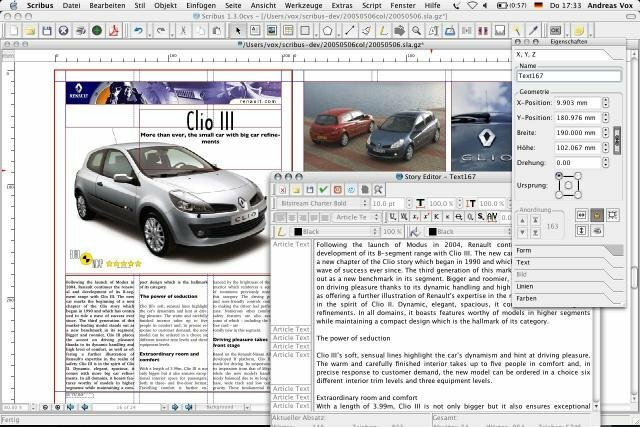 Description: It is a desktop publishing tool like Adobe PageMaker. It supports professional publishing features, such as CMYK color, separations, ICC color management and versatile PDF creation. Other features include PDF Import, EPS import/export, Unicode text including right to left scripts such as Arabic and Hebrew.